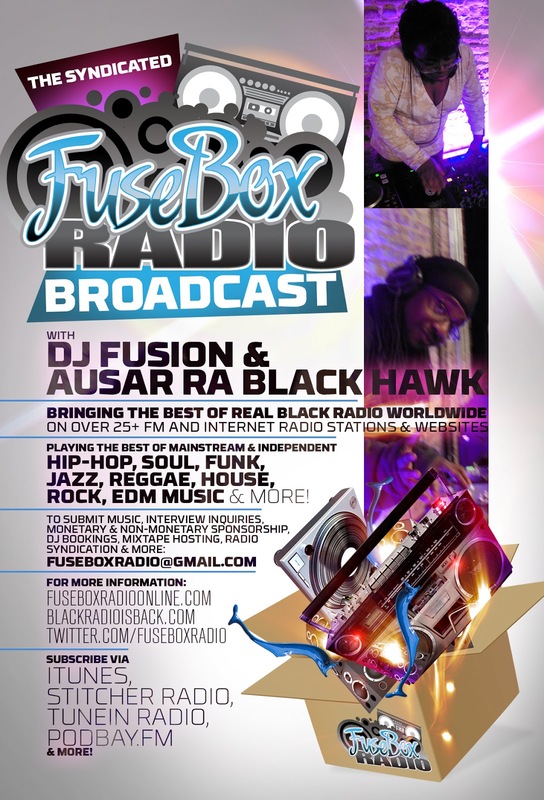 FuseBox Radio Broadcast + North By Northeast (NXNE ) = June 2013 International Event Goodness | BlackRadioIsBack.com - Official Blog of the Syndicated FuseBox Radio Broadcast! We have the honor of representing again this year at the fantastic North by Northeast (NXNE) Festival in Canada from June 10 - 16, 2013! 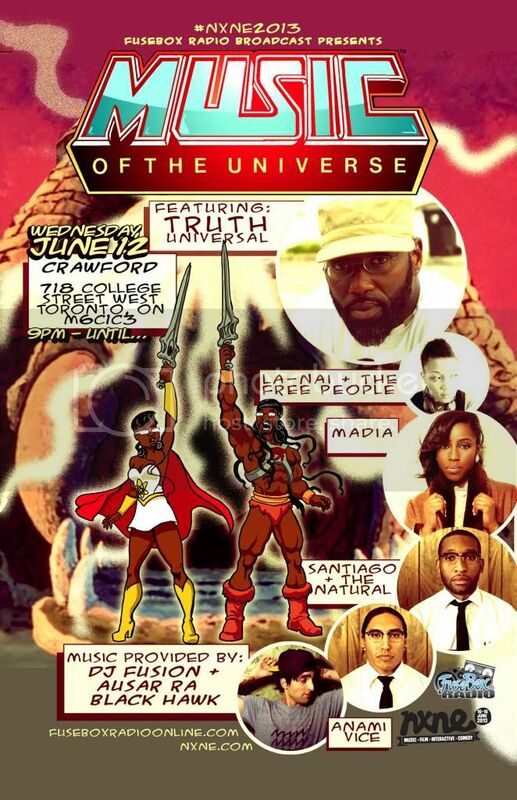 We're not only bringing our regular Black Radio musical vibes to the masses this year on the wheels of steel at various locations in Toronto, Ontario but via representing on on a NXNEi (North by Northeast Interactive) panel & doing our regular round of press coverage of the music, film, comedy, art & other events going on that week for folks to stay tuned for! 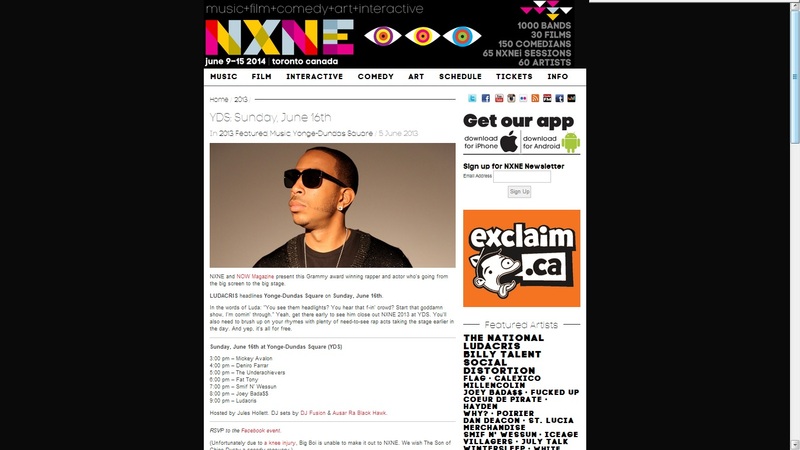 NXNEi (North by Northeast Interactive) Panel: "What's In A Label? Indie Hip-Hop Back From the Dead"
Special DJ Sets by DJ Fusion & Jon Judah (aka Ausar Ra Black Hawk) of the FuseBox Radio Broadcast for the closing free outdoor Hip-Hop concert for NXNE featuring Mickey Avalon, Fat Tony, Deniro Farrar, The Underachivers, Smif-N-Wessun, Joey Badass and Ludacris!